In the matter of Michael Anthony O’Byrne (2) Erla Rafns-O’Byrne  UKUT 395 The Upper Tribunal (Lands Chamber) considered whether a restrictive covenant had to be the sole impediment to the reasonable user proposed by the person applying for its modification under section 84(1) of the Law of Property Act 1925 (“the Act”). The Farm land consisted of a farmhouse, their home, two barns and six acres of farmland. The O’Byrnes’ sought a modification of this restrictive covenant in order to permit the land to be used for two private dwelling houses as opposed to just as a single private dwelling house. However, once Mr and Mrs O’Byrne lodged their application to the Upper Tribunal. The College objected to the modification contending the O’Byrnes’ application would be futile as the right of access to Tubney Manor Farm was over a road owned by the College, implying that the modification required would not enable the O’Byrnes’ to use the land as they hoped due to the nature of their right of way through the access road. While the O’Byrnes’ had a right of way to access this road, this was purported to be a limited right of way; specifically limited to “the permitted uses”. Accordingly, pursuant to the Transfer of the Farm in 2001, this would prevent the land from being used as anything other than a single private dwelling house and for agricultural or forestry purposes. The College argued it would suffer prejudice/injury by the relaxation of the covenant (and potentially mean that other neighbouring properties would seek the same modification) and that the benefits secured by it were substantial, and the second house would result in an unauthorised use of the road. The Upper Tribunal was satisfied that ground (aa) had been established and that it was appropriate to exercise their discretion and allow the application. However, the application under ground (c) was unsuccessful. The Tribunal deliberated that it is often alleged in applications such as this that to grant the application would be “the thin end of the wedge and would create a precedent”. It was illustrated that this point was outlined clearly in Re Snaith and Dolding’s Application (1996) 71 P&CR 104 LT. The Tribunal stated that any increase in the use of the access road would be limited and would not therefore create any noteworthy conflict between the agricultural and domestic use of the road. In addition, the position of the neighbouring properties and their covenants were quite different and there was no tangible prospect of them obtaining planning permission for development. In support of the decision in Hotchkin v McDonald  EWCA Civ 519, the Tribunal, modifying the restrictive covenant in order to permit the Farm to be used for two private dwelling houses, also said the right of way would naturally be interpreted to permit that use as well. In the above case, where the Court of Appeal held that there was always the likelihood of a modification of a right of way under section 84, it was unrealistic to suppose that the parties to the dispute intended to create a situation in which the user of the relevant land could be lawfully changed without having a corresponding impact on the right of way enjoyed in connection with it. Accordingly, it would be reasonable to assume it lawful for the O’Byrnes’ to use the access road under the modification. 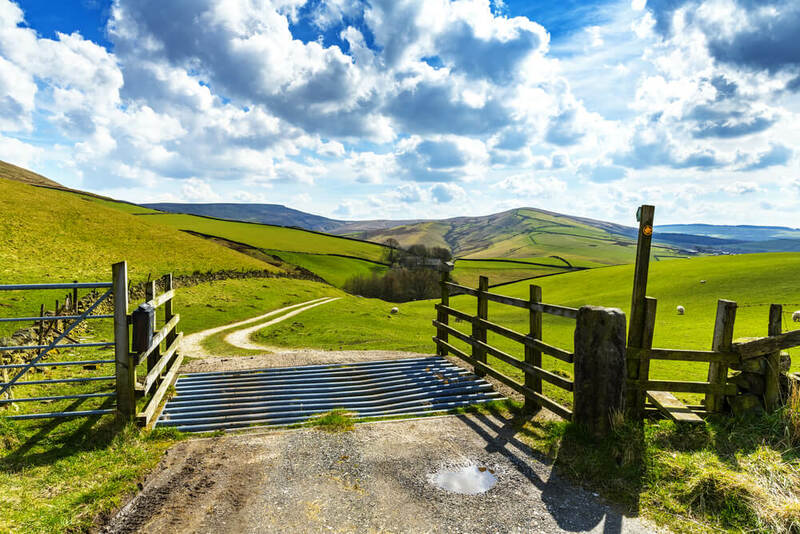 Compensation was assessed under section 84(1)(ii) at £60,000, on the basis that the purchase price of the Farm would have been 10% higher had the restriction not been in place. Accordingly, the restrictive covenants were modified. The ruling in this case focused on the analysis of the specific terms and the correlation between the restrictive covenant and the right of way. This follows the Court of Appeal’s previous decision in Hotchkin v McDonald where it was held that where a grant of a right of way was reliant on the terms of a restrictive covenant, any modifications to that covenant would also modify the terms of the right of way. Therefore, practitioners drafting rights of way by reference to a restrictive covenant should always keep in mind that restrictive covenants may be modified or discharged under section 84.